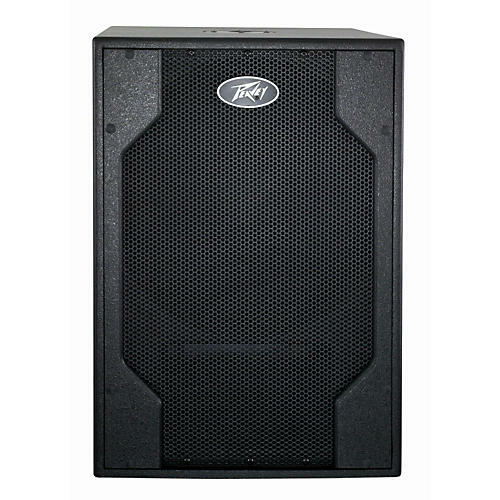 Peavey Electronics set the standard for affordable, feature-packed powered P.A. solutions more than four decades ago. The new Peavey PVX Series of active and passive loudspeakers are the culmination of decades of R&D and experience building the best portable, all-in-one audio solutions--bringing legendary Peavey performance and reliability to audio pros and musicians of all levels. Add a sub to your system. You won't believe the difference. Order soon. One combo female XLR and 1/4" phone jack providing balanced line-level operation from the 1/4" jack section, and high-output dynamic microphone operation from the XLR section. Output Connections: One male XLR and one 1/4" phone jack. The Thru jacks are intended for the use of linking multiple PVXpTM15 enclosures in a line or to provide a feed to a powered subwoofer, or other electronics that needs to receive a full range version of the input signal. Mounting provisions: Unit has two sets of two M10 inserts, one pair on the top, and one pair on the bottom. Additional mounting points are a set of four M8 inserts on the top, and a set of four on the right side in the handle recess, and a set of four on the bottom, which use the Peavey VersamountTM 70+ mounting bracket. Four rubber feet provide vibration free floor or stage use, and a molded-in stand mounting cup is on the bottom. Total of 800 watts peak available power Woofer - 650 watts peak available power Continuous Power*: 325 watts @ less than 1% distortion Tweeter - 150 watts peak available power Continuous Power: 75 watts @ less than 1% distortion. * Before thermal pullback activates. Line: 2.2 k ohms balanced (1/4"), 10 k ohms unbalanced 1/4" Mic: 2.2 k ohms balanced (XLR) No phantom power available.